Box Gallery presents Veil, an installation by painter Amelia Briggs. Briggs examines ideas of perception and the distortion caused by our previous experiences, narratives, and existing ideologies. 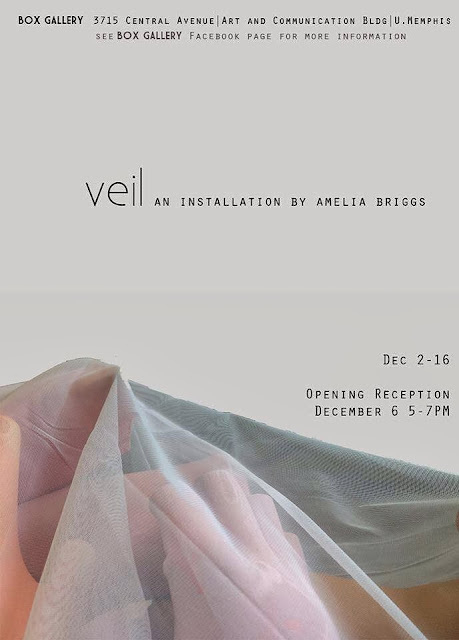 She states “I am interested in this cycle of perception as a betrayal of logic, acting as a veil, and ultimately obstructing our view.” Briggs, who is primarily an oil painter, focuses mainly on the human form as her subject matter. For this installation, she seems to magically transform one of her paintings into the third dimension.